Iranian Foreign Minister says there will be unpleasant consequences if Trump pulls out of 2015 nuclear deal. Iranian Foreign Minister Mohammad Javad Zarif warned the United States on Thursday of “unpleasant” consequences if it pulls out of the 2015 nuclear deal, Reuters reported. “Iran has several options if the United States leaves the nuclear deal. 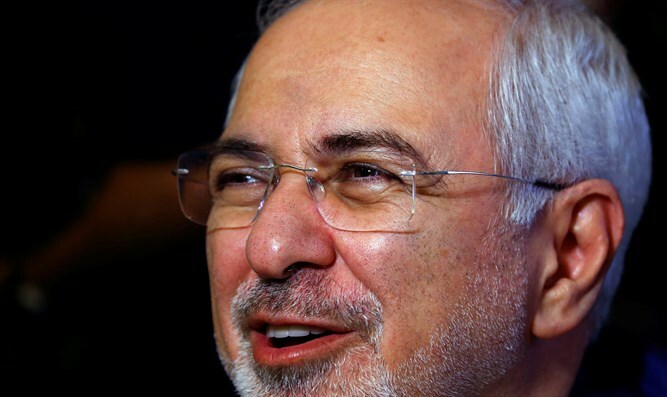 Tehran’s reaction to America’s withdrawal of the deal will be unpleasant,” Zarif said upon his arrival in New York. President Donald Trump, who has blasted the 2015 nuclear deal as “the worst deal ever negotiated”, in January decided to extend a waiver on nuclear sanctions that were imposed on Iran. Trump sees three defects in the deal: a failure to address Iran’s ballistic missile program; the terms under which international inspectors can visit suspect Iranian nuclear sites; and “sunset” clauses under which limits on the Iranian nuclear program start to expire after 10 years. Trump wants all three strengthened if the United States is to stay in the deal. The EU is eager to safeguard the pact, under which Tehran agreed to curb its nuclear ambitions for at least a decade. Seeking to respond to Trump’s criticism of the nuclear accord and Tehran more broadly, France, Britain and Germany proposed directing sanctions at Iranian “militias and commanders” fighting on behalf of Syrian President Bashar Al-Assad, but have failed to convince their partners to agree to the move. Iran has said it will stick to the accord as long as the other parties respect it, but threatened to “shred” the deal if Washington pulls out.